Phil Butler has been a performer all of his life, and a memorable act at that. 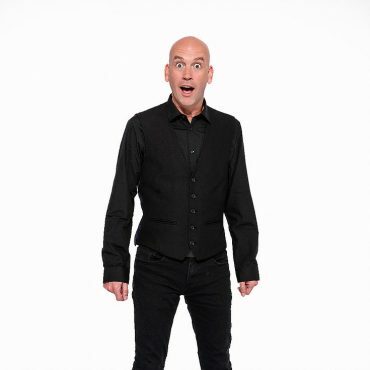 Butler uses a variety of highly entertaining skills in his act, making him a stand-alone variety show. A child's 'speak and spell' toy has never seen so much action! His stand –out talent has taking him to performing all over the word as a headline comedian and was the first to entertain troops on the front line. For this Phil received the honour of receiving the Operation Service Medal. Butler is also a highly sort after act for the corporate entertainment sector. His skill in writing is second to none and has for countless performers, including Paul Zerdin the winner of Americas Got Talent. When not performing his own show, Phil is regularly providing tour support for some of the biggest house hold names.